Remind everyone of the serene beauty of the mighty oceans by bedecking yourself with this pair of turquoise designer jhumki earrings. The huge turquoise teardrop Read More..shaped gem featuring right on the center of the stub along with white beads and stones encircling it in two successive rows bolsters that look of calmness and serenity. 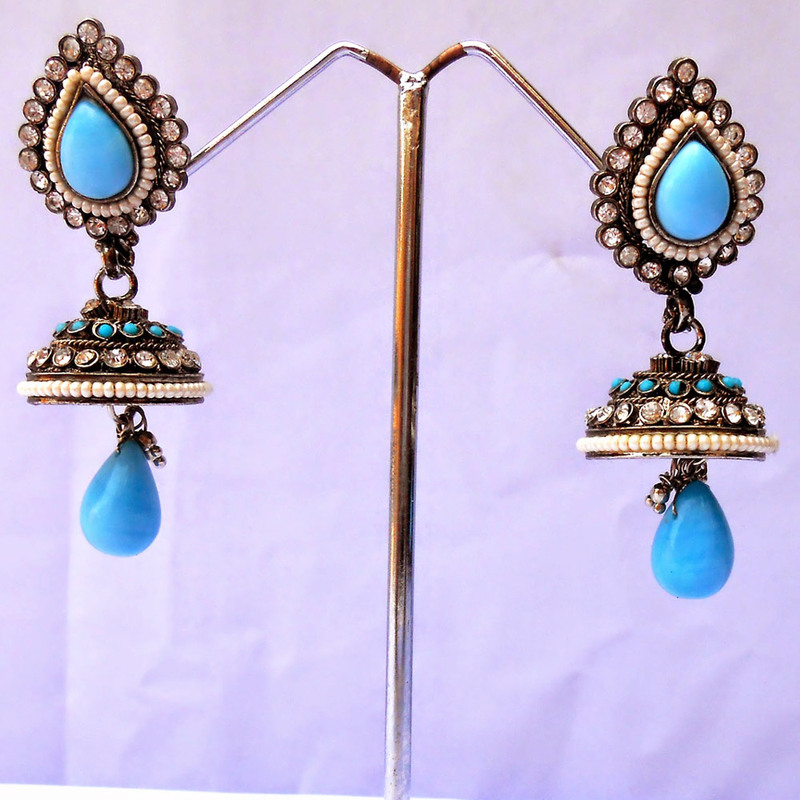 Moreover, teardrop shaped turquoise gem dangling from the jhumka segment accentuates the beauty by complementing the turquoise and white gems along with beads that stud its body. Show Less..